For Valentine’s Day, I thought I’d write about one of my favorite romantic novels, which I just happened to re read recently. It’s good that I re read it, too, because when I had to read it in high school, I was not impressed – I found it decorative, stilted, and, well, boring. This time, decades letter, I realize how much I didn’t understand in the first reading (as well as how badly my English teacher taught the book!). Jane and Rochester’s relationship is ‘saucy’ and risqué, with motifs of masochism. Moreover, Jane is not the dull woman I initially thought she was, but a spirited and thoughtful feminist who challenges the status quo of society. Set in nineteenth-century England, the novel begins with the story of young Jane, an orphan who lives with an aunt who dislikes her and doesn’t show her any kindness or affection. When she’s ten, Jane is sent to Lowood, a charity school; despite the cruelty of its headmaster, Jane develops physical, intellectual, and emotional strength. She leaves Lowood School to become a governess for Adèle, the ward of Edward Rochester of Thornfield Hall. Jane and Rochester fall in love despite the difference in their ages and social positions. Mystery surrounds Rochester, however; strange sounds and occurrences abound in his manor. Jane leaves Rochester after the revelation that he is married and his wife, who is insane, is being held captive in the attic at Thornfield. After much suffering, Jane becomes the mistress of a village school. She later discovers that she has living relatives and inherits a fortune, which enables her to return eventually to Rochester as an independent woman. Jane’s life unfolds as a dramatic adventure within an atmosphere of psychological dread and the constant threat of ruination, typical of Gothic novels. Even as there is mystery, suspense, and horror, which define the genre, the novel addresses social issues of the day. Throughout the narrative, Charlotte Bronte raises questions about the limited education provided in church schools, the expectations and opportunities for women, the value of family connections, and the importance of romantic love even when it conflicts with personal principles or the strict values of Victorian society. As a biographical note, which I think enhances one’s understanding of the book, Brontë incorporated into the narrative several elements from her own life. After Brontë’s mother died, an aunt assisted in caring for the Brontë sisters (Charlotte, Maria, Elizabeth, and Emily). The sisters were sent to Cowan Bridge, a school for clergymen’s children. The cruel and hypocritical fervor of the headmaster in Jane Eyre is based upon the evangelical minister who ran Cowan Bridge. Jane’s loss of her dearest friend at Lowood School to tuberculosis recalls the deaths of Brontë’s two sisters who died of tuberculosis at Cowan Bridge. Like Charlotte Brontë, Jane becomes a governess, which was often the only professional option for an educated woman at the time. The role of governess provided a good vantage point for Brontë to observe and write about the oppressive social practices of nineteenth-century Victorian society. Reflecting Brontë’s early feminist ideals, Jane is rebellious at a time when women were expected to be docile and obedient. 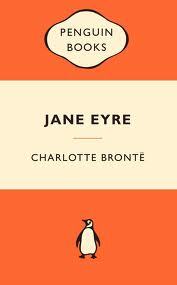 Through Jane Eyre, Brontë challenges Victorian mores by suggesting a woman’s merits demand the same respect as a man’s; moreover, she challenges the conventions of Victorian literature by creating a well-developed heroine with a rich inner life. But even as Jane questions gender expectations, societal conventions, religious practices, and the importance of love in marriage, this is not a didactic or dogmatic book. It is, ultimately, a passionate and seemingly impossible love story set within a spooky atmosphere, whose central tenet is the individual’s quest for an independent identity (still very relevant today), which is why it’s one of the most widely read novels all time.